SOS The Self Opening Soda Can- A Soda Can (Which can be borrowed) is caused to open with the performer’s hands, a foot or more away from the can. Real can, real soda, really amazing! Can even be done while the can is held by a spectator. Several versions, PLUS a bonus effect of a self opening beer bottle. This will work with almost any berveage can in an aluminum tab container. Alright, so what do you get and what IS this? Imagine, you show the spectators a (real) can of soda, or other canned beverage. (Such as Tea for instance.) You place the can on the table, or even in the palm of the spectator, hold your hands a foot or more AWAY from the can, and have everyone concentrate on the can. As everyone watches, the tab of the can visible and loudly cracks open and pulls upward! You then pour the beverage out of the can (Yes, really) and show the can to the audience for inspection! 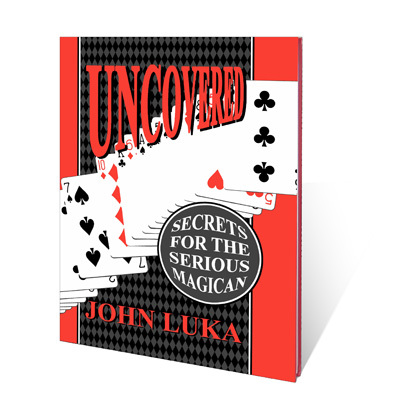 Uncovered is a compilation of first class practical card magic, including some powerful non-card items, written for the serious magician. Featured are several commercial creations that John has had the pleasure of performing in restaurants, at magic get togethers, and at parties for friends. You will find magic that is well within the range of most magicians. The magic is devastating with most items requiring only basic sleight of hand. You wonâ€™t find any knuckle busters within this volume. But, you will find MANY things you can use. Anything less is unacceptable! An Impromptu Classic Gets The Full Treatment. Imagine. You place three objects in a row on a table. A set of keys, a credit card, and a watch. You hand a willing participant a pen and ask them to write down the object they seem most drawn to. The participant makes an ABSOLUTELY FREE CHOICE of any object. They can even change their mind. You then reveal an indelible prediction left in full view from the very beginning that reveals their chosen object! Guaranteed that you will always be correct. Easy and convenient to carry with you everywhere. Performed with common objects supplied by you and your audience. Self contained and performable anytime, anywhere and without a moments notice. A prediction that is in full view of the audience from the beginning. 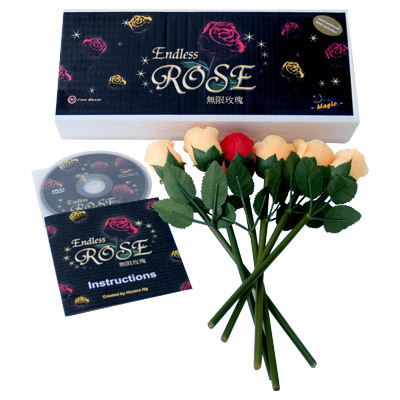 So easy to learn you will be performing it almost as soon as you open the package. Mind Control can be presented as a stunning demonstration of linguistics, psychology and neurology to convince anyone you actually possess the power to control their minds! Mind Control is the one you will have with you ALWAYS! Information revealed for the very first time. Bill Abbott explains how to perform Mind Control using three, five and six objects PLUS The Mind Control Deluxe Routine where the number of objects is increased to TEN. This makes the predicted outcome decidedly more impossible. There is an in-depth examination on performing Mind Control one-on-one, at a house party and on stage in front of a large audience. Professional tips and presentation ideas from other performers that use Mind Control on a regular basis are provided as well. 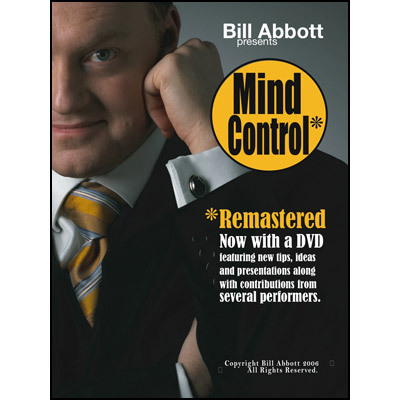 Finally, Bill Abbott supplies you with recommended resources and effects to enhance your Mind Control performances and how to customize the effect to suit your own personal style. A Color Changing Deck the likes of which nobody has ever seen! 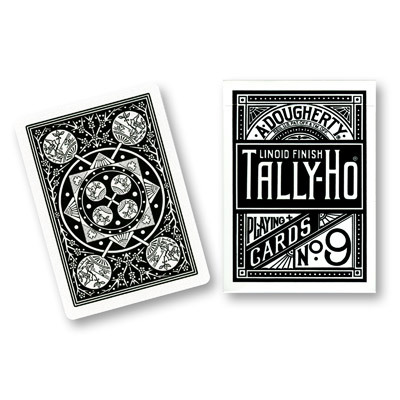 A card is selected, it’s back changes color, it’s face changes color, the backs of the entire deck change color, the faces of the entire deck change color, Spades and Clubs turn red, Diamonds and Hearts turn black! A professional quality routine that anyone can do. A Ziploc bag is closed and placed on your palm. A borrowed coin is signed and placed on top of the bag on top of your hand. 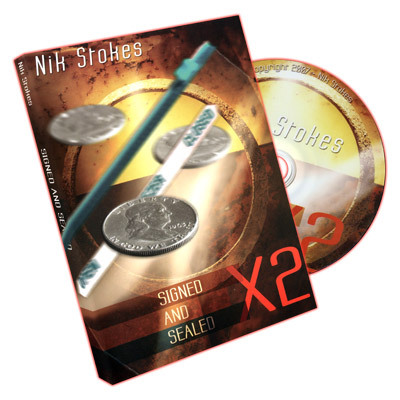 The coin visibly penetrates the still sealed bag! Is it really inside? Really! And you never touched it! Really! You offer to repeat the effect, but this time you perform it with a little more flair: the coin is positively identified and simply by tossing it towards the bag, it visibly penetrates it again! Is it really inside? Really! Only one coin is used. Only one Ziploc bag is used. The coin is really inside the Ziploc Bag at the end of both performances! 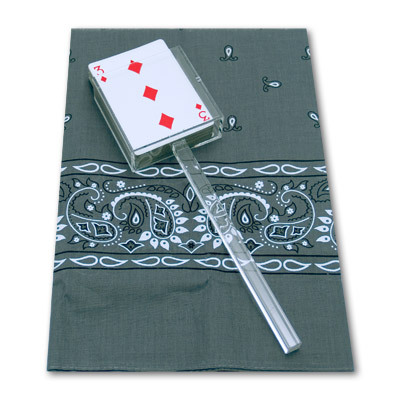 No difficult sleight of hand necessary! Nikola Tesla was a world-renowned Serbian-American inventor and physicist who is best known of his revolutionary work in the field of electricity and magnetism in the late 19th and early 20th century. 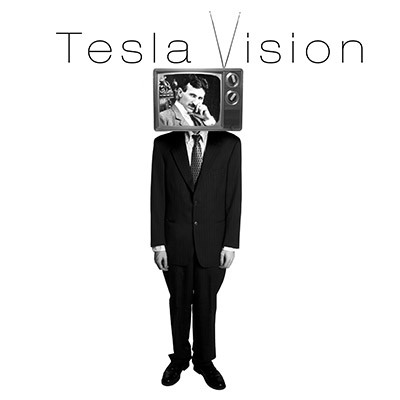 Telsa’s patents and theoretical work form the basis of modern alternating current electrical power systems (AC) â€“ including the AC motor which helped usher in the Second Industrial Revolution. He was probably first introduced to most magicians in the recent film “The Prestige” as a character portrayed by Davie Bowie. In the United States, Tesla’s fame in the scientific community probably rivals that of any other inventor or scientist in history or popular culture. After his demonstration of wireless communication in 1893 and after being the victor in the “War of Currents”, he was widely respected as America’s greatest electrical engineer. Much of his early work pioneered modern electrical engineering and many of his discoveries were of groundbreaking importance. Today, James Biss has finally revealled his application of Tesla’s revolutionary Wireless Impulse Technology for the first time – with incredible results! You’ll receive harmless but distinct sensations to the right and left side of your body, secretly delivered to you from your accomplice in the audience.